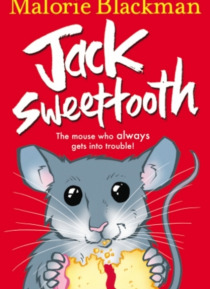 Jackson Winstanley Sweettooth (or Jack for short) is a mouse who lives with Matthew and the rest of the Bailey family. He gets the blame for a lot of things - Mrs Bailey thinks he's swallowed her ruby and nibbled at Shani's birthday cake. And Jack's biggest enemy is Beauregard Battersby-Bunge, the pesky ginger cat from next door. But everything gets better when another mouse, Blossom, comes to sta… y with the Baileys - soon Blossom and Jack are the best of friends!